Lamination is the process of applying laminating materials to ad work, maps, drawings, etc. They are heated between the lamination substrates. This is an irreversible process application (images cannot be removed from the laminates). 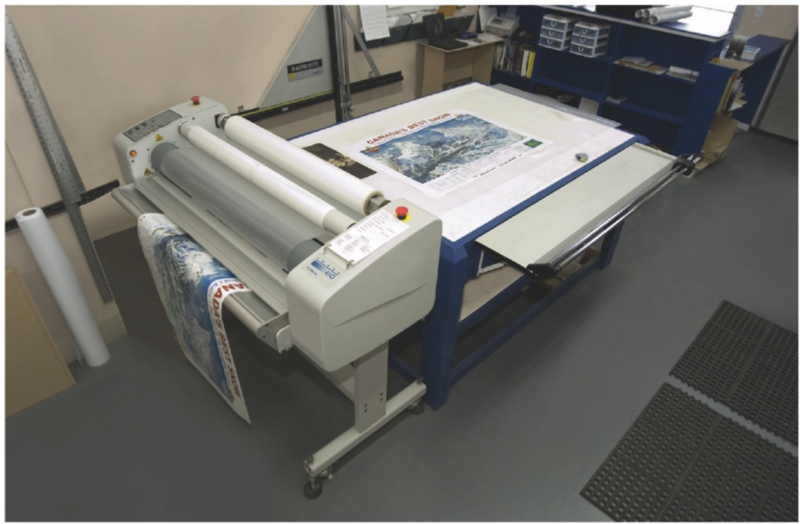 Lamination is a quick and reliable way to show your work and protect it at the same time. Sizes: Width 5″ up to 42″ wide (in roll lengths).